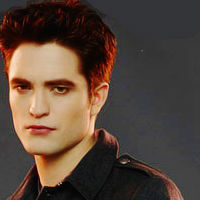 Breaking Dawn part 2 --- Edward Cullen. edward. Images in the Twilight Series club tagged: the twilight saga edward cullen icon. This Twilight Series icon might contain اچھے کپڑے پہنے شخص, سوٹ, پتلون سوٹ, pantsuit, اچھی طرح کپڑے پہنے ہوئے شخص, and پنٹساٹ.